I have created this site to learn HTML. It is a work in progress. Feel free to contact me with a Quick Comment if you have any feedback, suggestions or problems with the site. Here you will find various tools and my favorite links for Dark Age of Camelot. I have tried to not include too many links, limiting it to simply a few of my favorites. I hope you find them helpful in your quest and journey within the realms of Albion, Midgard and Hibernia. Although I never officially announced it here, I completely revised Cald's Place and moved it to it's own domain, www.caldsplace.com. Consequently, this site will no longer be updated. I will leave it up for refererence, though most all the useful information, and even more is available at the new site. There is a link from www.caldsplace.com to here as well. June 30, 2004: Changes inc. ? I have started a third revision of Cald's Place, which I hope to install sometime next month. It will likely have an entirely new look and navigate a little better. I would like to update a lot of the data and information which has changed as DAoC has changed. I'm also not pleased with the new sidebar that Angelfire has installed to automatically pop-up on every page here now. I'll be moving the site to a better (yet still free of course) host. I'm considering Tripod and mmoclan but I'm open to suggestions. Would anyone but me have interest in a glowing weapon section? I collect oddities like that and thought it might be fun to have a list and pics of all glowies. December 18: Sauvage Guard Home Page goes live! I finished the re-write of Sauvage Guard's home page. Check it out at sauvageguard.com. December 12: Sauvage Guard Home Page update in process! I have been working various designs on a new and updated website for Sauvage Guard. If you want to see my latest musings with it, check out the Rough Draft here. What you see is largely conceptual. Some things will change and much is undone but if you want a sneak previous of what might be then take a look. Note: This is not the new sg website but merely a location to test a new version. It is not "live". December 6: Christmas is coming! Totally unrelated to the rest of this site... 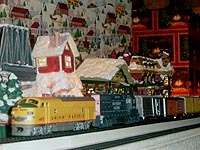 I just finished putting up a short movie of my electric train set at Christmas. Our house has vaulted ceilings with some shelving that goes around the dining room and living room, and down the hall. I have train set I built which runs along this area spanning over 60 feet of track. During Christmas I decorate this entire area. DOWNLOAD NOW (2.27mb). The movie is very low quality, recorded with a digital camera, so don't expect much. I recommend you make the image as small as possible when viewing so it's not too distorted. The area you see is actually 8 feet up, and looks a bit different from the ground, but I moved in close to film since I knew the quality would be so poor. If you have problems downloading please let me know via e-mail. November 26: Completed entering all the information for all artifacts mentioned by the scholars and the sphinxes on the Artifacts page. Completed the scholars section. I'm thinking I really need to rework all Atlantis information (the links, the maps, this artifact site) and I'm open to suggestions. Please, if you have any, E-mail Calderon, or simply give me some Feedback. November 20, 2003: Re-ordered the Site History section to go in reverse historical order. Added additional artifacts to the new Artifacts section, which fixed some dead-links on the scholars section as well (still in need of much work). November 19, 2003: Installed an entirly new section called Artifacts. Here you will find a collection of artifact information offered by the scholars, the sphinxes and other creatures throughout the Trials of Atlantis. Read the stories as they were intended to be discovered. Solve the riddles of the Sphinxes and learn more about where a given artifact may be. This section is a work in progress. Currently there is information on 40 of the nearly 60 artifacts. The Scholars section needs work still and you may find a dead link or two there. I expect to have it fixed in the next day or two. Note: The Atlantis Maps section needs work and I may merge it with Artifacts. November 7: Added some Atlantis specific links to the Atlantis Maps section. October 28, 2003 - ATLANTIS MAPS AVAILABLE! 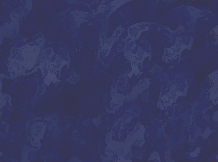 Check out the full maps and the individual zone maps in this new section, Atlantis Maps! Be sure to check out the Herald's new addition of Altantis maps in maps-a-lot as well. They mark key locations, island names and sea going vessel routes. Redesigned all pages giving them a uniform header and ability to link from any page within this site to another (check the header in the Using /loc section to see what I mean). With that in mind, please let me know if you experience any problems. October 21: Learned enough about Cascading Style Sheets (CSS) to make the visual mouseover links I orginally wanted to for the Side Menu. I did not put the CSS in any other pages yet. I'm considering doing my first complete revision of the site, replacing the frames with a larger table, putting in some Server Data, and making a css.main file for the entire site. Also gave people the opportunity to send in their own screenshots. October 16: Added Armor Crafting section and which is accessible from the side menu. For now this section lists prices for AF102 Armor, gives an explaination of how MP pricing works, and provides a link to my e-mail for orders. If I find I get any orders here I may make a form for ordering and/or include prices of other levels of armor. October 11: Added Frontier Maps and Krondon Dungeon map linked to side menu. I also added a "to top of page" button at the bottom of this main page given the length the Site History is quickly becoming. I plan to reduce the size of the Site History by putting each day, or the entire section, on a separate link. October 10: Added a Screen Shots section and changed home graphic. Changed the horizontal line divider above to an animated .gif file. Also updated the Using /loc section. October 8-9: Replaced the header/banner with an updated image of my Paladin, Calderon. Added Trophy Mobs in favorite links. Moved Contact me section from side menu to main page under Screenshot of the Week, and added a Quick Comment option utilizing a FORM. Learning this will enable me to make order forms when I add my Armor Crafting section. Try it! October 7, 2003: Added new header and a screenshot of the week section utilizing TABLES. This is something I wanted to do prior to launch but had trouble getting the tables to work. After a bit more experimenting through trail and error, I have something much closer to what I had originally intended. I also added a graphic image for "home." This image may change later but it works for now. On October 2, 2003 I had the notion that learning HTML might be fun and useful. I found Dave's interactive HTML tutorial and began my journey. On October 6th I launched my site. I have plans to update the Using /loc section, installing a Crafting section and a Personal biography section. Have a screenshot you want to see up here? Send it in Here!